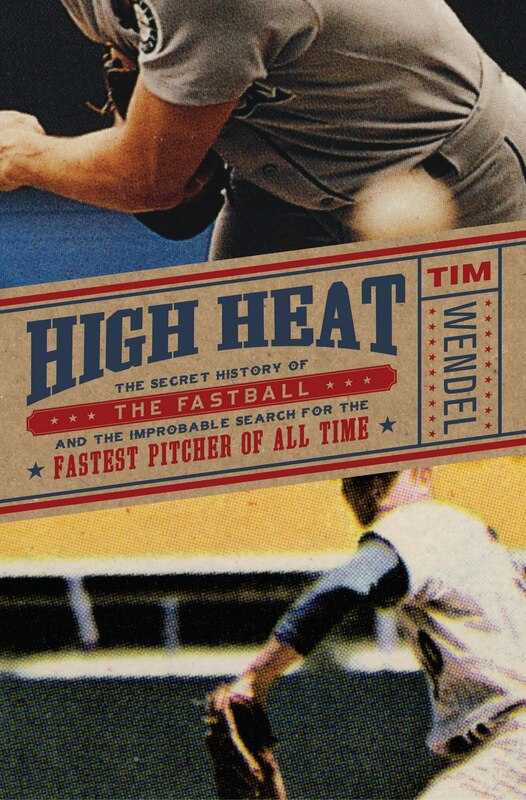 The third and final installment of my interview with High Heat author Tim Wendel considers hard-throwing closers and the brotherhood that develops among baseball’s hardest throwers. Why do you suppose that more of these guys don’t end up as closers with it being so difficult to put it all together when you have this gift? I think it’s somewhat the money involved. It’s funny because one of the major characters in High Heat is David Price, and I caught up with David last year, because David was kind of the phenom of last year, and he was kind of going through some of the things that Strasburg and Chapman are going through now. At one point he was down at Durham in Triple-A, which ironically is where Bull Durham is set and things kind of came together on that end, and at one point he’s talking and he says “Maybe I should just go to the bullpen, maybe I could get up there quicker.” But I would’ve been really surprised if the Rays would’ve had him do that in part because I just think once there’s so much money involved and starting pitching is at such a premium then if somebody can make it as a starter you’re probably better off having them do that. It’s interesting, at times we think everything in baseball is happening right now, but whether it’s Norm Sherry, or Bob Feller, or even Nolan Ryan, they’re all kind of watching who’s coming along and who’s the next fireballer, because they can really relate to them. Even within this summer we’re kind of seeing the gift and the curse at the same time where Strasburg comes out and is doing so well so far, but then you’ve got someone like Zumaya who’s struggled with injury, and who knows what happens with his career. Do you think that’s fair, do you think there’s an accurate parallel there? Is there anything else you’d like to highlight? Once these guys get to this point, or even if they get close, I think they realize they’re part of a brotherhood, and they really take pride in that. There are so many different ways you can look at baseball. You can follow the great teams, you can follow the different eras – the Deadball Era and that goes to the Golden Era before and after World War II, etc. – I think another key thread you can follow through the game is just following the fastball pitchers. And these guys, even the contemporary ones, they kind of know that to a certain extent. Again, I’m back to Tim Lincecum a little bit. Tim Lincecum is not a baseball historian. You ask him “Gosh, 1975 World Series,” and he’ll just kind of be looking at you like “Who played?” and “What happened?” and “Oh, that was Carlton Fisk? Okay, yeah, I think I kind of know him.” But then the thing is you start talking about the names we were just talking about, the names that are through High Heat. Okay, Walter Johnson, Bob Feller, Sandy Koufax, JR Richard, Nolan Ryan, etc. And all of the sudden he knows all those people. He may not be in contact with them, but he knows at least in broad strokes what they were about and what they did. And it’s funny you get him talking about his windup or his delivery and a great many of these guys they’ll go “Oh yeah, I do a little bit like Koufax did here, and I then I do a little like Nolan Ryan did here, that was my stride to the plate,” whatever it may be. So early on, and I think it starts way back when they’re at a pretty young age, they start hearing these names, and part of it is I better start knowing their stories, because maybe if I start knowing the stories well enough of the guys that I’m hopefully trying to follow in the footsteps of then maybe I can succeed, too. That was a pretty cool thing to find in doing High Heat.